The Power Resist System trains players to become better athletes through overspeed training. The system is specially designed to allow athletes to freely change directions. 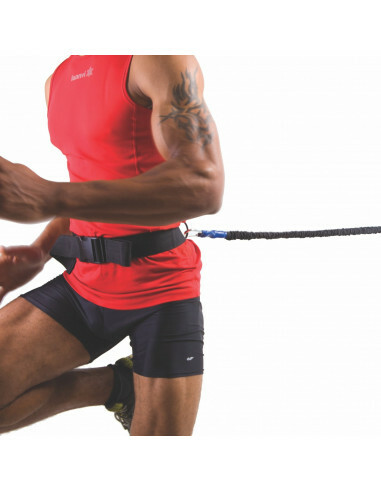 Each system includes a fully adjustable belt and very durable 9' resistance band with all attachments. The Power Resist System easily attaches to any fence for solo workouts, or with a partner. Available in 2 levels of resistance, the unstretched length is 9 feet. NOTE: To protect vital organs, wear the belt around the hips and not the waist.